Form meets function in this modern minimalist MENU Water Bottle. 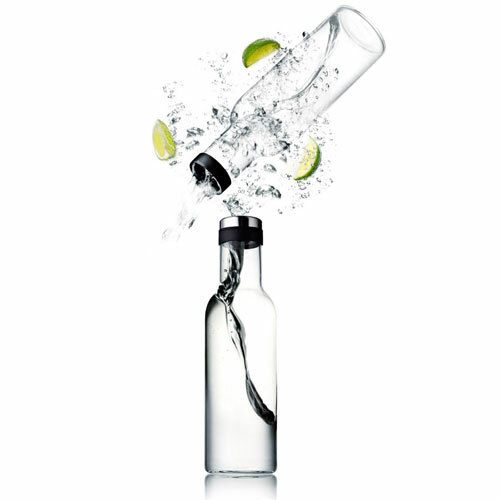 The stylish Danish water carafe is designed by Norm for MENU, and pairs perfectly with the MENU Wine Breather Carafe. The duo makes a wonderful gift for anyone who is serious about enjoying fine wine. The tall slim profile of the glass Water Bottle fits easily into the refrigerator door and also looks elegant on your dining room table. 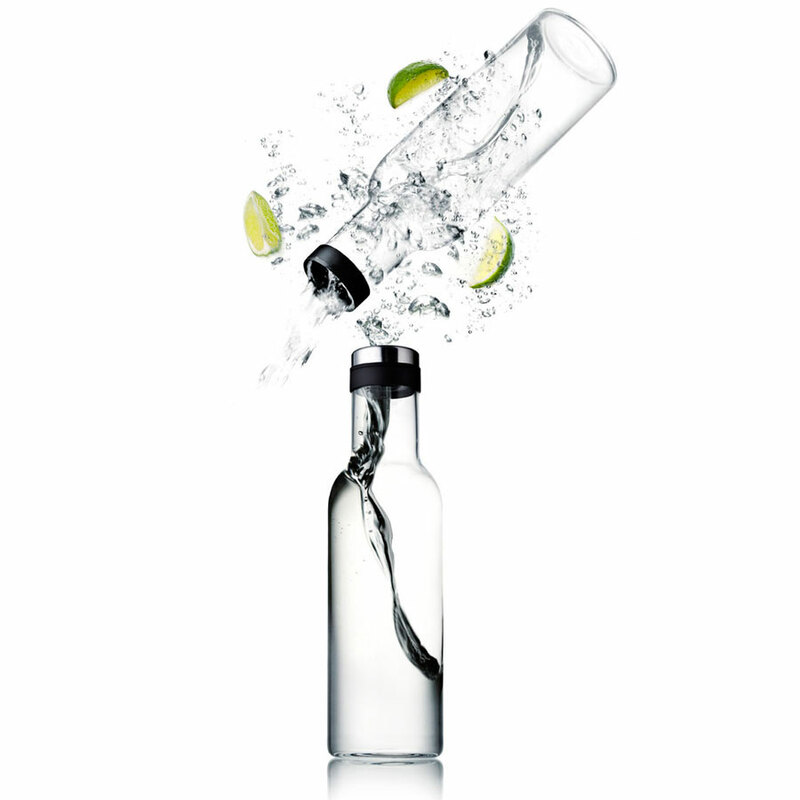 A stainless steel lid keeps the water pure and refreshing. Enjoy the simple pleasure of having cold fresh water to drink at all times with the MENU 1 Liter Water Bottle.